Mario and Egidio Fiandino, owner of Fattorie Fiandino. 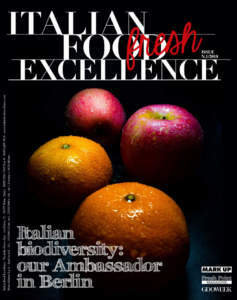 The secret of the success of Fattorie Fiandino consists in a few rules, concerning respect for nature and human beings. 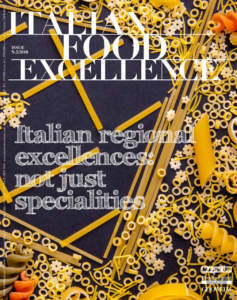 These principles and rules have always helped this company, located at the foot of Alps in the province of Cuneo, to be a reality rooted in its land, able to face every challenge with ‘taste, passion, and tradition’. A valuable milk of Piedmont, coming from this company and some other farms that are no more than 15 kilometres away from it, has been for more than one century the base for creating wonderful cheeses, characterized by a refined cream, delicate scents, and a full and intense flavour. 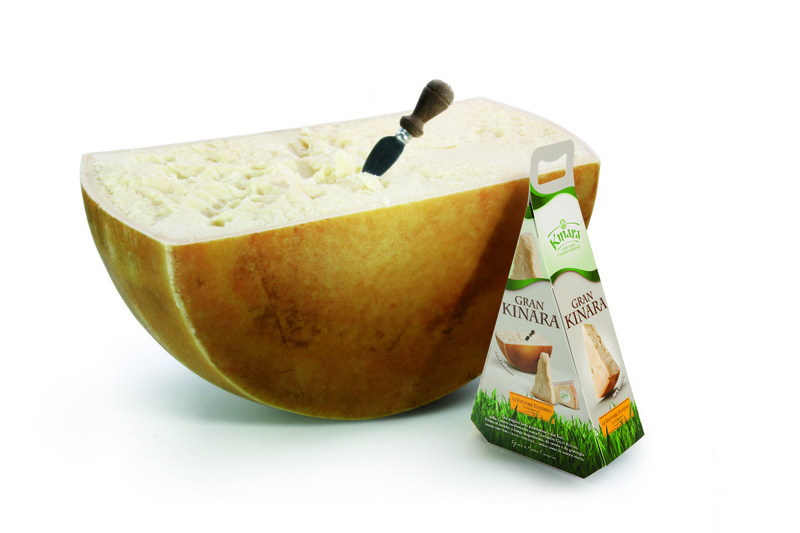 ‘Kinara’ is the first very seasoned cheese produced with the ‘Kinara’ method, which requires the use of vegetable rennet obtained by means of flowers which grow spontaneous: Cynara cardunculus. This lactose-free cheese, suitable for intolerant people, is a world exclusive product, a credit for the whole Italian dairy production, which combines tradition and innovation and obtained a Halal certification, too. 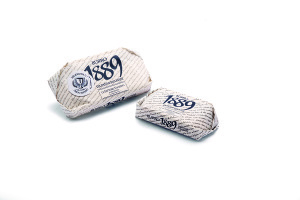 This is the first cheese throughout the world produced with vegetable rennet and seasoned for more than 12 months. It is considered as a both ‘table’ and ‘grater’ cheese. It highlights delicate, never interfering scents; its paste is granular, with a very good consistency. It releases fresh and flowery aromas, which result to be unusual and pleasant. Its full taste reminds milk and cream, with a ‘round’ ending, where the last grass note lets a sensation of both freshness and pleasantness. 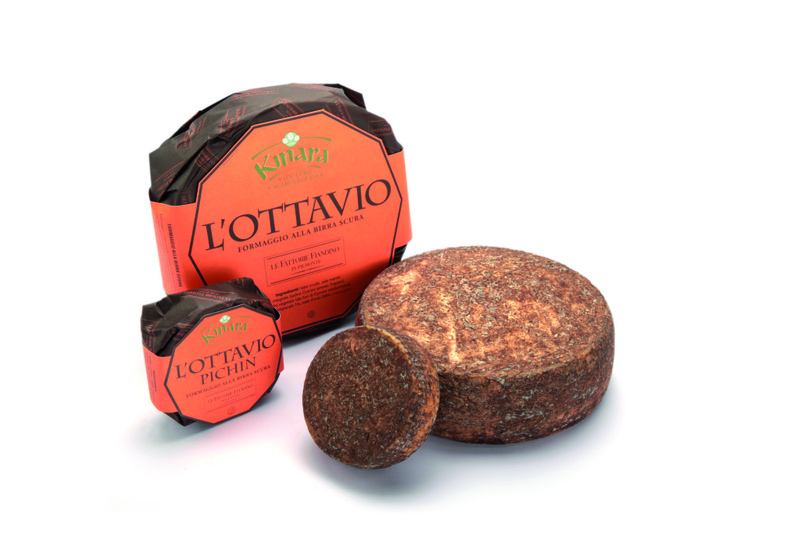 This characteristic makes it similar to the other Kinara productions of Fattorie Fiandino, such as ‘Lou Bergier’, ‘Toma del Fra’, and ‘Lou Blau’, the most recent cheese. ‘Lou Bergier’ is an acknowledgement to Magno Fiandino, founder of Fattorie Fiandino, grandfather of Egidio and Mario, now owners of the company. This product is a Toma cheese produced with raw milk and pressed paste, with some holes, which presents delicate and never interfering scents, with a full and velvety taste combined with a big and pleasant freshness. A patented idea is at the roots of an other products of Kinara line: ‘Ottavio’. The owners explain: «We wanted to realize something unique, with original scents and flavours. After experimenting for 4 years, we found a right balance among milk, dark beer, and 3 different types of malted barley. This balance is able to lend to the cheese delicate scents of coffee and cocoa». 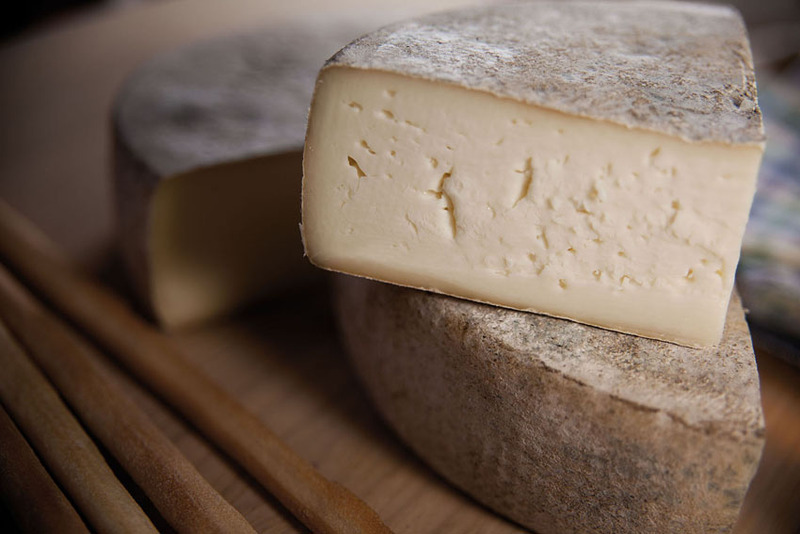 The outer part of this cheese, which must be eaten alongside with its paste, is brown, often with light white/grey veins. When it is cut, its paste is soft and pale yellow, the holes are almost absent. The scents of milk, cream, freshly cut grass, and roasted barley alternate without prevailing. When Ottavio is tasted, after a sweet beginning and a full and tasty intermediate part, it offers a final rich in flavours which remind cocoa, coffee, and chocolate. ‘Burro 1889’ closes the list of specialities. It is very good when it is spread raw onto a slice of bread, ideal for cooking both sweet and salted dishes which can allow rediscovering even original combinations. It is worth tasting as an appetizer, on the tip of a bread-stick, with a fresh sparkling wine and artisan, caramelized, lightly spiced beers. The ‘salted’ version of this butter is unique in Italy: ‘Burro Salato’, new in its taste and intriguing in its persistency, is excellent for preparing sweets as well as for seasoning a dish of pasta, and its full-bodied delicacy accompanies with elegance anchovies, sardines, smoked salmon, and caviar. A good red wine, an ‘Alta Langa’ sparkling wine or a Sicilian ‘Nero d’Avola’, goes well with its light savouriness without prevailing, so letting it be a ‘leading actor’ for a new pleasure of the table. Thanks to Italian catering abroad as well as specialized large-scale retail trade, today 20% of these cheeses are exported in USA, Canada, Germany, and other Countries, among which New Zealand. Because of the Halal certification of these products, the owners aim at extending the export in the Islamic Countries. A careful attention has been paid to packaging, for both cheeses and butter. 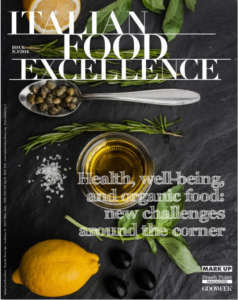 The owners explain: «The image we are trying to communicate by means of our packaging is the one of a dynamic and young company, able to enhance the traditional knowledge according to a modern point of view. Every cheese has its own package, which ranges from the simple tissue-paper of ‘Lou Bergier’ to the transpiring paper of ‘Ottavio’ up to the cardboard pyramid-shaped box of ‘Gran Kinara’, which is characterized by a thermoretractile vacuum-sealed device. We invested much on our packaging for butter, too, in order to highlight the identity of this product in a very competitive sector. We did not want to distort the local tradition, which proposes the butter wrapped in coated paper and a closure with aluminium rivets, but invested in research concerning the name of our product, represented by the year in which our grandfather Magno was born, and texture, in which short sentences written by chefs, gourmets, and foodbloggers during a tasting panel carried out during the launching of this product alternate».